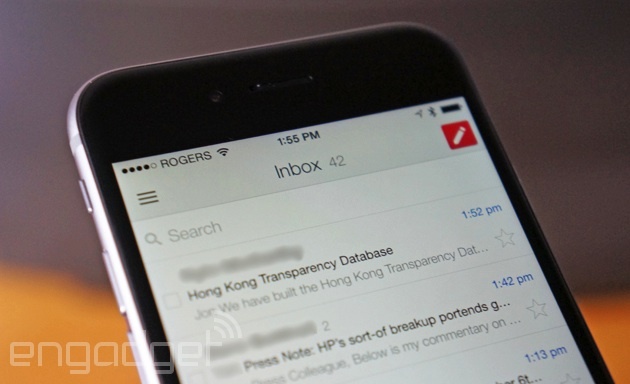 Ever wondered if you could sync contacts from iPhone to Gmail? Ah, the convenience of interconnectivity! We live in an age where we can’t escape it. You open up your phone and you see your Facebook friends in your contacts. You open up your computer and you see the photos you just took pop up in your cloud folder. Is there an end to all these devices working together? Probably not. So it’s best that we take advantage while we can. And a great way to do that is to sync contacts from iPhone to Gmail. A lot of you have been asking this question: how exactly do we export contacts from iPhone to Gmail? And how do we import contacts from iPhone to Gmail? Well, the answer lies in a simple iPhone setting. Up next, we’ll show you how to find that setting, how to tweak it to your specific preferences, and even how to ensure the contacts will stay synced long after you’ve changed the setting. There are two ways in which an iPhone or iPad (or both) user can sync his/her contacts with a respective Gmail account. First off, you should know that one can sync contacts between one or more Gmail accounts, as well as other accounts they may wish to sync (Facebook *hint hint*). The first way by which to transfer contacts from iPhone to Gmail and vice versa implies a one-time sync that can be repeated manually by the user. The second way (more complicated), implies a permanent sync that repeats itself regularly so that new Gmail contacts will appear on your iPhone while new iPhone contacts will also show up on Gmail (provided, of course, they have an email account). The following are the exact steps by which one can sync their contacts from iPhone to Gmail through a one-type, repeatable process. Open your iPhone and go to Settings. Unlock your phone, go to your menu, and then to Settings. Select Mail, Contacts, and Calendars. This option should be toward the lower half of your iPhone’s settings menu. Add an account. Up to this point, this method can be used to sync contacts from iPhone to any other account, from many other services. Select Google. After the user selects to add an account, a new page will come up asking him/her which type of account it will be. Depending on iOS version, Google should be among the first options available. Enter full email address. Don’t forget to add the @gmail.com extension. While your user may work without it on many other Google services, here it’s required. The email address should be entered in the “Email” field. Enter a username. It is extremely important that the username for this Google account be its exact email address. Turn sync on. After all the details above have been entered, you should tap ‘Next.’ Then, be sure to turn on sync contacts from iPhone to Gmail. You will also have the option of syncing the Mail and Calendar services. Push for the sync to begin. This step must be repeated each time you want your contacts to be synced. On the Mail, Contacts, Calendars settings menu, select Fetch New Data, on the new page, there should be a Push button. Turn this button on. Create a Microsoft Exchange account. A Microsoft Exchange account is basically a service that links up with between two and many more services in order to provide interlinking. It’s the basic algorithm behind Facebook sync on Windows Phone devices. Add the Google Account. After selecting Microsoft Exchange, you will be again prompted for the email. Enter the Gmail account. Continue with steps 4-9. After you’ve added the Microsoft Exchange account, you can go on with the 4-9 steps from Method 1 to sync contacts from iPhone to Gmail.